With the government shutdown closing national parks across the country, some unlucky brides and grooms are scrambling to make last-minute wedding plans. 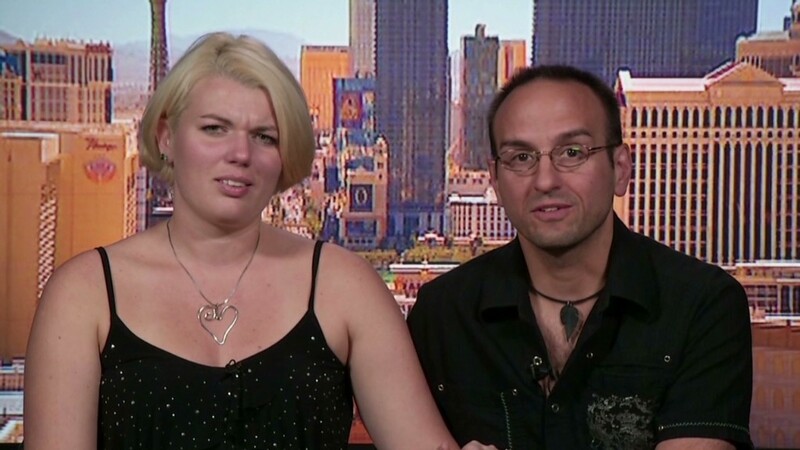 Genevieve Jeuck and her fiance Michael Sallemi had planned to get married Wednesday at a resort in the Grand Canyon. But last week, as a possible shutdown loomed closer, they were notified by site officials that they should consider other options. "I got the call Thursday night. I cried. I was freaking out, and then I thought I was turning into a bridezilla," she told CNN Newsroom Tuesday. "I had to make all new plans on Friday. It was just absolutely exhausting, and we're still unsure of what exactly we're doing." Jeuck and Sallemi plan to reroute their eight guests to a new location two hours away in Sedona. While the new site is free, they don't know if they will be able to recoup their $250 permit fee and the hundreds of dollars in hotel deposits everyone attending the wedding has made. Since individual parks issue their own permits, it's unclear exactly how many weddings are expected to take place in the upcoming weeks at the country's hundreds of national parks. At Golden Gate National Recreation Area, which features sweeping views of San Francisco's iconic Golden Gate bridge, 11 wedding permits have been issued for the first two weeks of October. And this weekend alone, Yosemite National Park has eight weddings scheduled. Meanwhile, nine weddings are scheduled on the National Mall in Washington D.C. for this coming week, according to Carol Johnson, a spokeswoman for the National Mall and Monuments. The couples were all notified that if the shutdown continued, their permit would be canceled, she said. She was not sure whether affected couples would receive a refund. One bride who spent more than a year planning this weekend's wedding in Joshua Tree National Park told CNNMoney she's hopeful that her guests will know where to show up on the big day. She has a backup plan, but is still holding out hope that the park will open in time. During her seven years of wedding planning at California's Yosemite National Park, Roshel Ryan has dealt with snowstorms, rock slides and fires, but she's never dealt with a complete closure. She is rushing to help her clients and other nervous couples find the perfect 'Plan B.' One couple, which had been planning an intimate elopement ceremony for this Friday will likely reschedule, while other couples are looking into moving events to a lodge outside the park. "Couples come from all over the world to get married here," she said. "So it's difficult when you plan something and then all of a sudden you cant even get into the park."